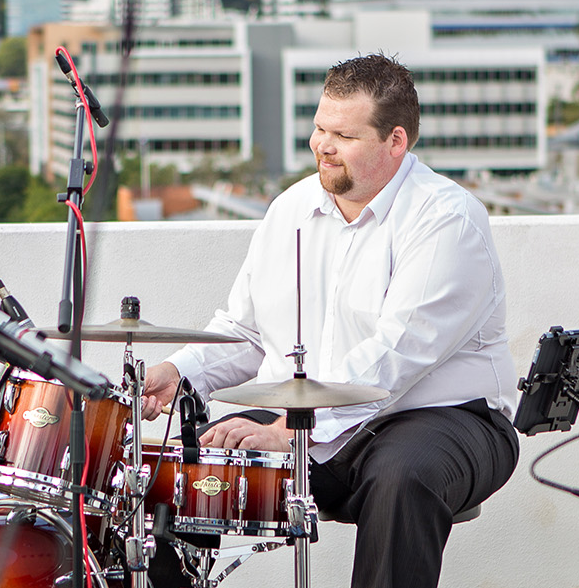 Nightshade is a Brisbane based Jazz and Contemporary live music outfit, that offers high quality musical entertainment and musicianship for your next event. Nightshade plays across a variety of events including corporate events, fesitvals, weddings, parties and more. Nightshade can quote on your event & will communicate quickly, clearly & help you make your event what it needs to be! Nightshade carries public liability insurance. Further details can be provided on request. Do you have a specific song you want? We are happy accommodate song requests where possible. Go to Need a demo? Click to see and hear the Nightshade. Promo Video now LIVE! 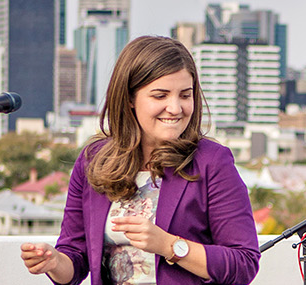 Singer and People mover Carrah woos audiences with her versatile vocal chops and ability to work a crowd. Carrah loves singing a wide range of styles, but especially enjoys jazz and contemporary pop music! Nathan brings life and energy through his steady groove. 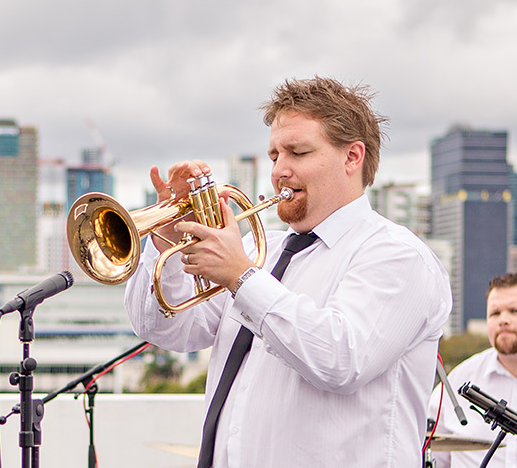 With a background in original-pop, jazz and funk the band is able to settle in to any style, from up-tempo rock, through to gentle jazz ballads when needed. 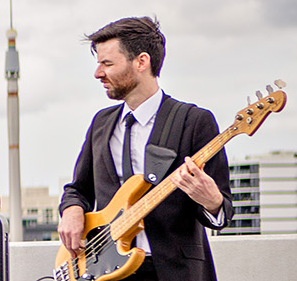 Jono loves to groove out with solid bass lines. He is also the resident ‘jazz lyric’ reference in the band. Mr Drury excels in musicianship dry humour and bringing the ‘funk’. He is a master trumpeter playing the horn before he could walk. Nathan also plays in Bullhorn & the BCJO. 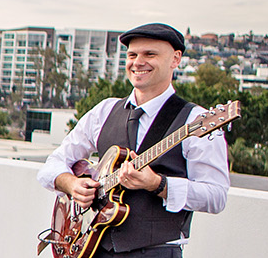 Chris loves to play swing, but also enjoys funk, rock and even country at a stretch. Electric or acoustic it doesn’t matter.